From the onset, Windham Weaponry has had one goal: to build the finest AR-type rifles in the country. We have reassembled a team of the finest firearms people in the USA, who offer many years of experience in the industry and have built “America’s rifle” for literally two decades. We are so sure of the quality of our rifles that we back them up with a Transferrable Lifetime Warranty. We all look forward to working with you, to serving your needs and to building you a great rifle. It’s almost impossible to believe that we’ve been “back in the game” for a whole, exciting year! We knew we had a lot of “Goodwill” with our old customers and our vendors, but never in our wildest dreams did we believe that we would grow our company so fast. What took us 25 years to do with our old company, we’ve accomplished in just one year. Where does this take us as we move into the second year? Only our effort will limit our growth, but I’m sure next year at this same time we’ll be saying “My God, how did we get here so fast.” To everyone that’s making this happen, thank you for putting our people back to work and supporting our efforts. 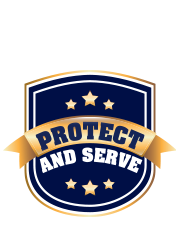 Windham Weaponry is committed to bringing you the best customer service in the industry. Our success is due to your support and we strive to meet your needs quickly. Your order on in stock parts will ship the same day or next day, depending on the time of your order. In the event you need a repair, we realize that you , the consumer, do not want to be without your rifle for any length of time. When your rifle comes in to Windham Weaponry, we will turn it around as quickly as possible for you, usually within a day or two. If you need service or parts installed, give us a call to set up an RMA ( return authorization) toll free 1-855-808-1888. 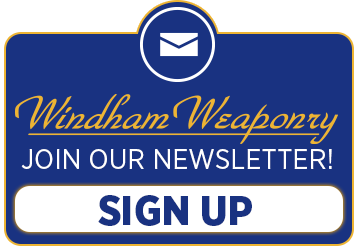 We offer free gunsmithing on parts purchased from Windham Weaponry. We look forward to hearing from you. I just wanted to take a minute to tell the team at Windham that you are building superb weapons. I just took my new MPC to the range and am totally pleased with the performance and features of the weapon. Thanks for what you guys / gals do. I am a very proud owner of a recently purchased WW Ar-15. I love my rifle. I love the Windham story and hope the best for your company in the future. Glad to see your getting a 308 rifle going and please tell up the rest of the story on how you build rifles. Thanks again for a fine weapon. Normally, email newsletters that arrive here barely get a glance, if that. Yours got read. I really appreciate the people’s photos it helps make it more personal. It’s nice to know I’m dealing with real people. This 2.2″ Picatinny rail can be installed on six or seven vent hole handguards without any permanent modifications. It installs through two of the vent holes so there is no need for any drilling for the mounting screws and is a quick and easy way to add a rail to your rifle for mounting a vertical grip or a flashlight to your rifle. The Mission First Tactical React™ Short Vertical Grip is a compact textured grip that is designed to have a minimal low profile to reduce the possibility of snagging the rifle on clothing or webbing and provides a positive grip surface for a wet or gloved hand. It has a water tight storage compartment for small spare parts or batteries with a customizable foam storage block that keeps them from rattling inside the grip. One of the many great things about my new career path is the great people I am meeting every day. This month I’ve highlighted feedback from just a couple of the officers I have had the pleasure of working with. I had the opportunity to meet an officer in Texas that was in the market for a new AR-15. Gary contacted me via email and the friendship began almost immediately. Gary had several questions about the Windham Weaponry line and was also familiar with the story behind the company. Like most everyone out there Gary was impressed with the story and really wanted to give WW a try. So when I told him the price of his new gun he was all in. Now as I mentioned, Gary lives in Texas and some of you out there may be aware that there is a real problem in the South with feral hogs. Texas seems to be overrun with the animals, but Gary and his friends are doing their best to keep the hogs in check. Gary is an avid hunter and has had the opportunity to shoot a lot of hogs with his new SRC from Windham Weaponry. Gary has been kind enough to share many of his photos with me as well as the story behind most of them. I have included one of Gary’s photos from a hunt back in June where he bagged a MONSTER HOG! I want to thank Gary for sharing his adventures with all of us here at WW – keep them coming! Received my weapon this week and fired it this evening. It performed perfectly, no feeding problems, no malfunctions and it was accurate right out of the box. I couldn’t ask for anything more and it was here in less than 45 days as promised. I would have waited months to receive this AR-15 and I am looking forward to more range time. I also purchased some cleaning supplies, brushes and a 30 inch rod from WW. I ordered over the weekend, it shipped out Monday and I received it early Wednesday morning. I am really impressed with my weapon and will highly recommend WW to all that have an interest in purchasing a firearm. Impressive is all I can say, the weapon, customer service and yourself. I now know that WW has a quality weapon and a quality team. I appreciate your guidance and can’t thank you enough. The Mission First Tactical Battlelink™ Utility Low Profile Stock Is a slide-on replacement for your original collapsible stock. It features an angled non-slip buttpad for faster presentation that pivots open to access a large, watertight storage compartment. The storage compartment also has a customizable foam storage block to keep any stored items from rattling and a pull tab for quick access. The upper portion of the stock is designed to provide a comfortable and enhanced cheek weld and there are also sling attachment points for both a web style sling and push-button quick detach sling mounts. Between Windham Weaponry and Bushmaster, Matt has over 14 years’ experience in the firearms industry. He started out with Bushmaster in the receiving department and worked his way up through the ranks and had interaction with all facets of the company. While the majority of his experience has been in retail sales and customer service, he also has shipping, assembling and project management experience as well. He has been married for 20 years and he and his wife Renee have three children. Matt is active in his church and when he is not taking his kids to their sporting events, dance or scouts, in his spare time he enjoys riding his motorcycle, camping, hiking, cycling and golfing.